An irreverent, provocative, and visually fascinating look at what our online lives reveal about who we really are - and how this deluge of data will transform the science of human behaviour. An irreverent, provocative, and visually fascinating look at what our online lives reveal about who we really are - and how this deluge of data will transform the science of human behaviour. Big Data is used to spy on us, hire and fire us, and sell us things we don't need. In `Dataclysm', Christian Rudder, founder of one of the world's biggest dating websites OkCupid, puts this flood of information to an entirely different use: understanding human nature. 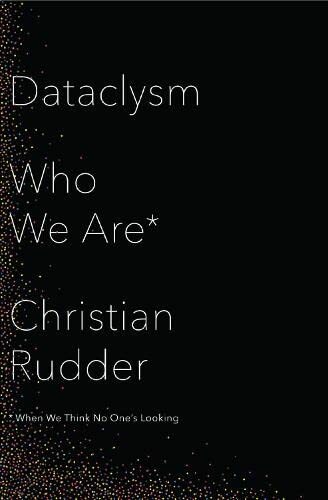 Drawing on terabytes of data from Twitter, Facebook, Reddit, OkCupid, and many other sites, Rudder examines the terrain of human experience to answer a range of questions: Does it matter where you went to school? How racist are we? How do political views alter relationships? Philosophers, psychologists, gene hunters and neuroscientists have tried to explain our flaws and foibles. Rudder shows that in today's era of social media, a powerful new approach is possible, one that reveals how we actually behave when we think no one's looking. Outrageous and illuminating, `Dataclysm', is a portrait of our essential selves - dark, absurd, occasionally noble - and a first look at a revolution in the making.